Tom has 25 years of experience working with athletes of all ages and abilities. He is Board Certified as a Sports Physical Therapist (SCS) by the American Physical Therapy Association, is dry needling and ASTYM certified, as well has been ART certified. 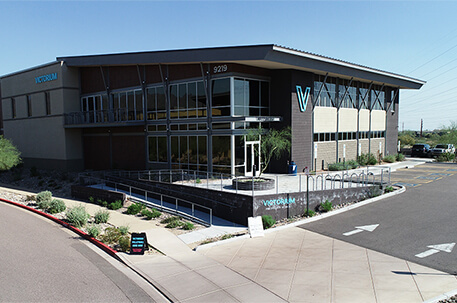 He has served as an adjunct professor at NAU in the Physical Therapy Department at Phoenix Biomedical Campus. He is a former soccer player himself, is a USSF National B Licensed coach, and now enjoys running marathons and half marathons. His biggest accomplishments off the soccer field or physical therapy setting are “Being the best father I can” and qualifying and running in the Boston Marathon. Tom has a wife, Tonya, a daughter, Talia, and twin sons, Keegan and Lleyton. Tom has been Performance Director a Physical Therapist for Phoenix Rising (USL). He has consulted with DC United (MLS), and was the Physical Therapist for Arizona United (USL). In the past, has worked with teams including KC Chiefs, KC Royals, Kansas City Blades, Arizona Diamondbacks from 1996-1998, Arizona State University, Phoenix Roadrunners, Arizona Sandsharks (CISL), and Arizona Thunder (WISL).  Tom started The Center for Athletic Performance because he had a vision to bring his experience of training, conditioning, and therapy that he was apart of at the professional level to the general public from the youth to aspiring adult athletes and everyone in between. Averill Sutchar received his bachelors in Psychology from the University of San Diego in 2008 where he also was a student athlete, playing football. He went on to complete his Doctorate of Physical Therapy at Creighton University in Omaha, NE in 2012. He has a special interest in the treatment of sports injuries, various orthopedic conditions, and spinal conditions. His emphasis is a manual treatment approach, which includes one on one treatment while prescribing therapeutic exercises progressively over the course of his treatment. Averill specializes in Dry Needling, Orthopedics, Sports Medicine, Spinal Care, Ergonomics, Balance/Fall Prevention, as well as Joint and Soft Tissue Mobilization. Averill’s patients receive the most up to date evidence based treatment, while also being tailored to fit the needs of each individual patient. He strongly emphasizes the importance of the patients’ understanding of the basic anatomy, rationale of treatment, and goals of therapy to help reach long last results. In his free time, Averill enjoys the outdoors that Arizona has to offer, hiking, mountain biking, workout out, as well as reading whenever he gets the chance. Joey was born and raised St. Louis, MO. He received his Doctorate of Physical Therapy from Washington University in St. Louis and is also a Certified Strength and Conditioning Specialist (CSCS). His interest in physical therapy began when rehabbing athletic injuries in high school and college, and was drawn to the profession from experiencing the benefits of PT first hand. Joey enjoys treating patients of all ages and abilities, and uses manual techniques and exercise with an emphasis on proper body mechanics to help patients reach their goals and stay active. In his free time Joey enjoys fishing, hiking, and staying active. Molly received her BS in Exercise Science and Sports Medicine from the University of Missouri – St. Louis and Doctorate in Physical Therapy from Rockhurst University. She completed her certification in dry needling after graduate school. Throughout high school, Molly competed as a state champion pole-vaulter, basketball player, as well as a competitive volleyball player. She continued her athletic career playing basketball for The University of Missouri-St. Louis at the Division II level. In her free time, Molly enjoys playing and watching sports, engaging in various outdoor activities such as hiking and kayaking, she loves to cook and spending time with friends. She is an avid St. Louis Cardinals fan who values family above all else. Molly loves working with the sports medicine population and attributes her passion for the field to being a former athlete who has had to overcome multiple injuries. She looks to continue to help others, as her physical therapists did for her; she feels that there is no greater satisfaction than watching someone rehab their injury and be able to return to their true passion. Molly loves helping others and looks forward to implementing her beliefs within her practice. James is originally from Eldorado, IL. He played baseball as a pitcher during his undergraduate years at the University of Illinois. James then played for the Cincinnati Reds organization but after a shoulder injury, James decided to put his baseball career behind him and pursue physical therapy. He graduated with his doctorate degree in physical therapy from the University of Florida in April of 2014. He chose physical therapy because he was around it for years as an athlete and was fascinated by helping people get back to normal after injuries and giving them the tools to prevent future injury. James’ specialty is shoulders and elbows and he enjoys working with overhead athletes. In his free time, James enjoys going hunting and fishing whenever he gets a chance to. He also likes to workout as well as spends as much time with his family as he can. Frank was born and raised in Chicago, Illinois. He completed his undergraduate degree at DePaul University where he received his Bachelors of Sociology. He then went to Graduate school at Midwestern University where he received his Doctorate of Physical Therapy. Frank is educated in higher order program design so he can tailor it to the individuals needs. This is used to help bridge the gap between clinical reasoning of physical therapy and practical applications of health and fitness. Some of his specialties include dry needling, sports medicine, joint and soft tissue mobilization, orthopedics, as well as pain science. Frank is a Certified Personal Trainer (CPT) as well as a Certified Strength & Conditioning Specialist (CSCS). In his free time he enjoys being a part of the Crossfit community as an athlete and strength and conditioning coach for the past 10 years. Karim brings extensive performance training experience to the Center for Athletic Performance and Physical Therapy, including five years with professional soccer teams around the world. Most recently he worked with the CU Boulder soccer and tennis teams in Colorado, designing complete performance training programs and supporting athletes’ end-stage rehabilitation. Before that, Karim spent the 2014 season with FC Dallas as the club’s principle athletic performance coach; 2 years as a performance coach for international soccer in Bulgaria, China, Qatar, and Mexico; and a further 2 years with the Portland Timbers. As part of a strategic partnership he also worked with the Providence Sports Care Center in Portland, assisting with treatment of injured Portland Timbers players, general population patients, and community outreach initiatives. He received his bachelor’s degree in sport and exercise science from San Francisco State University in 2007. He continued on to receive his master’s in 2009 in exercise physiology, completing his thesis on preseason conditioning for soccer. He has also spent nearly two years researching neurophysiology principles and teaching undergraduates in the same subject. In his free time, Karim loves traveling whenever he gets the chance to new places and exploring as much as he can. He also enjoys staying active by playing soccer and basketball and keeping up with the sports as much as possible. Photography has also became a passion for Karim and he enjoys taking photos from his travels. Hannah graduated from Northern Arizona University and received a Bachelors degree in Fitness Wellness. She was a triathlete in High School and played Basketball at Chandler-Gilbert Community College. She’s been around sports her entire life, even after playing junior college basketball by holding an occupation in game management at NAU, where she worked at every college game during her undergraduate. Hannah is very passionate in helping athletes reach their fullest potential, by coaching and guiding athletes towards progress. There is nothing better about her job than when an athlete recognizes the relationship between work ethic and progress. Seth Morris from Upper Sandusky, Ohio graduated from The Ohio State University and received a Bachelor Degree in Exercise Science and a Masters from The Pennsylvania State University in Kinesiology. A Football Athlete in High School and played Football at The University of Toledo, Then Transferred to The Ohio State University. He’s been around sports his entire life, even after playing college Football by holding an strength and conditioning job at Ave Maria, Stillman College, Internship at Penn State and most recent head strength and conditioning with United States Air Force at moody Air Force base, in Valdosta Ga.
Seth is very passionate in helping athletes reach their fullest potential, by coaching and guiding athletes towards progress. There is nothing better about his job than when you engage, educate and empower the young men and women to be great now, tomorrow and there future. In his free time, Seth likes to stay active by training, hiking, and meeting new people. When he gets the chance, Seth enjoys reflecting by the ocean for the weekend on an successful week. Jacob was born and raised right here in Phoenix, AZ. He went on to obtain his bachelors degree in Athletic Training from Grand Canyon University. While going to school to receive his degree, Jacob gained knowledge and experience in clinical rotations at multiple levels. He had rotations at three different high schools, as well as at a community college and a division one level university. In his free time, Jacob enjoys working at Under the Son Ranch. While at the ranch, he works with as well as rides barrel racing horses.